The connection of the Haftorah to Pesach: The Haftorah tells how Bnai Yisroel, the Israelites offered their Pesach sacrifices when they reached the Holy Land. Before the exodus from Egypt, Hashem – G-d commanded Moshe that every Jew be circumcised in order to partake of the Pesach sacrifice. So forty years later, in the month of Nissan, with a new generation about to take possession of the Land of Israel, Hashem commanded the Jewish people again to be circumcised before they bring the Pesach offering. The storyline of this week’s Haftorah: The Haftorah begins by describing Bnai Yisrael’s preparations for crossing the Jordan River. The miracles that occurred there resembled those of Krias Yam Suf, The splitting of the Red Sea, which we commemorate on the last days of Pesach. The Haftorah though, brings a contrast to the Exodus from Egypt, highlighting the fact that Yehoshua’s generation was inferior to Moshe’s generation; thus, Yehoshua’s acceptance to be led by an angel rather than Hashem Himself. After 40 years of wandering in the desert, the Jewish People are about to enter the Land of Israel. Yehoshua instructs them to circumcise themselves. 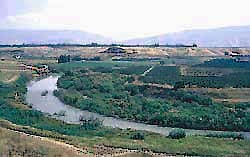 Hashem splits the Jordon River so that the Jews can enter Israel. The Jordon River had already reverted to its natural state but the Kohanim were still on the other side of the river. The Aron Kodesh lifted the Kohanim and carried them across the river! On the same day, the Jews reached Har Gerizim and Har Aival, a distance of 45 miles! Hashem shortened the route for them because Moshe had commanded that the mitzvot of building an altar and announcing the appropriate blessings and curses take place on the same day as the crossing of the river. Yehoshua commands the Kohanim that they should carry the Aron Kodesh and march with it at the head of the people. Typically, the Aron was in the midst of the people, and not leading the way in the front. But since the Jews were going to cross the Jordon River, the Aron needed to lead the way so that the river would split when it saw the Aron and the Shechina that rested upon it. Yehoshua had the Jewish people circumcise themselves before they entered the land of Israel. The Bnai Yisroel Bring the Pesach offering at this point as well. The Haftorah also mentions how the Jews encircled the fortified city of Yericho (Jericho), and the sinking of the walls into the ground after 7 days. The meaning of his name means “Hashem will save". It is believed that Joshua authored his own book with help from the High Priests, with exception to the final chapter, which was authored by Elazar and Pinchas. 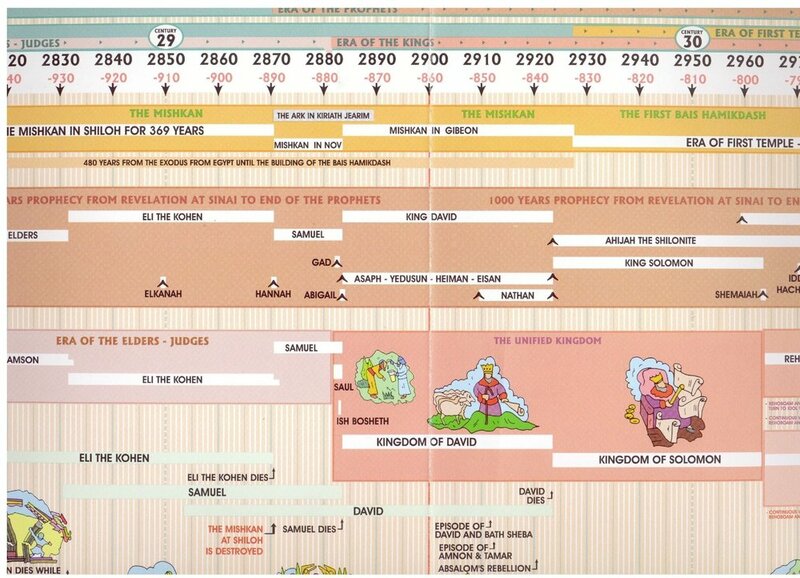 It is the sixth book of the Tanach, and the first book of the prophets. "Be strong and of good courage; for you shall cause this people to inherit the land which I swore to their fathers" (Joshua 1, 6)"
Haftorahman’s lesson of the week: Yehoshua agreed to be led by an angel rather than Hashem himself. This was no indication of Yehoshua’s lesser stature; rather, it reflected his generation’s weakness. Some people erroneously comment,” Oh, the Rabbis and leaders of this generation can’t be compared to the leaders of years ago, whose greatness was so outstanding.” We see this to be untrue, because the level of a generation’s leaders matches the spiritual level of their generation. It is our duty and responsibility to teach ourselves and our children to honor and respect the leaders of our generation in the same way that the leaders of earlier times were respected.